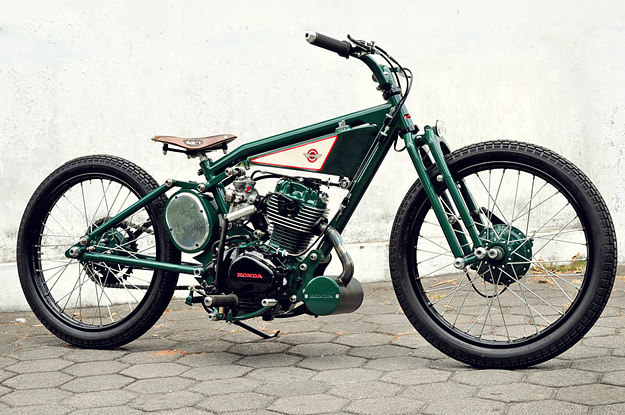 Agus and his brother Faiz design, fabricate and paint their bikes in-house, and the green GL100 was the second bike they built. 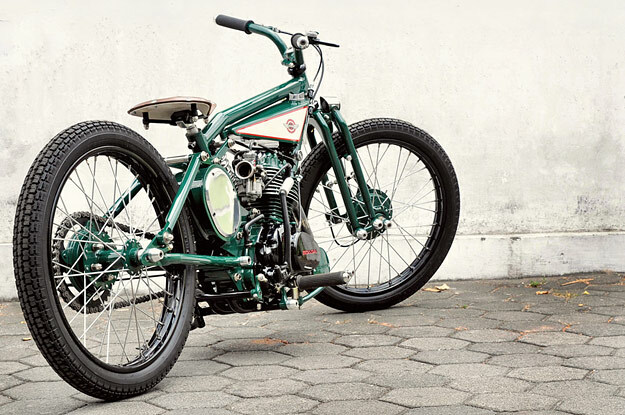 “Indonesia has only a limited bike selection,” Agus says, “so I try to create something else, something different.” Indeed: check the custom tube frame and that radical suspension. 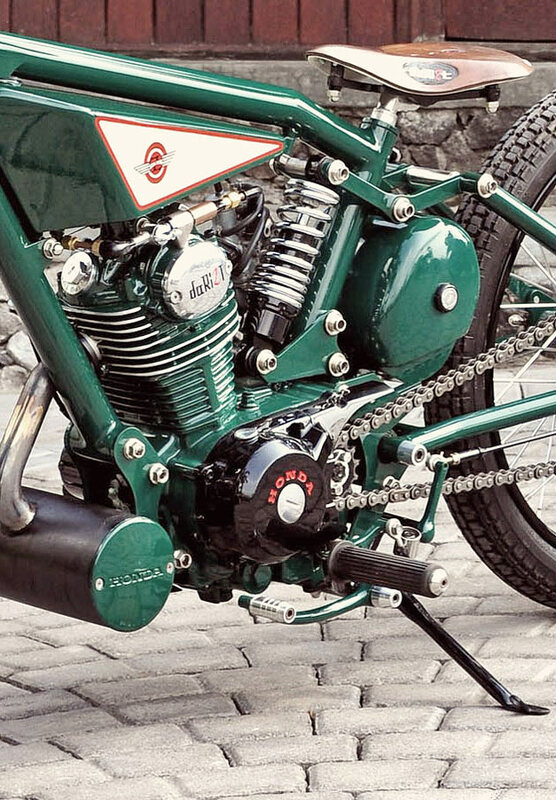 Agus and Faiz have now built seven bikes in a wide range of styles—including a very tasty Kawasaki KZ200—so check them out on the DariztDesign website.